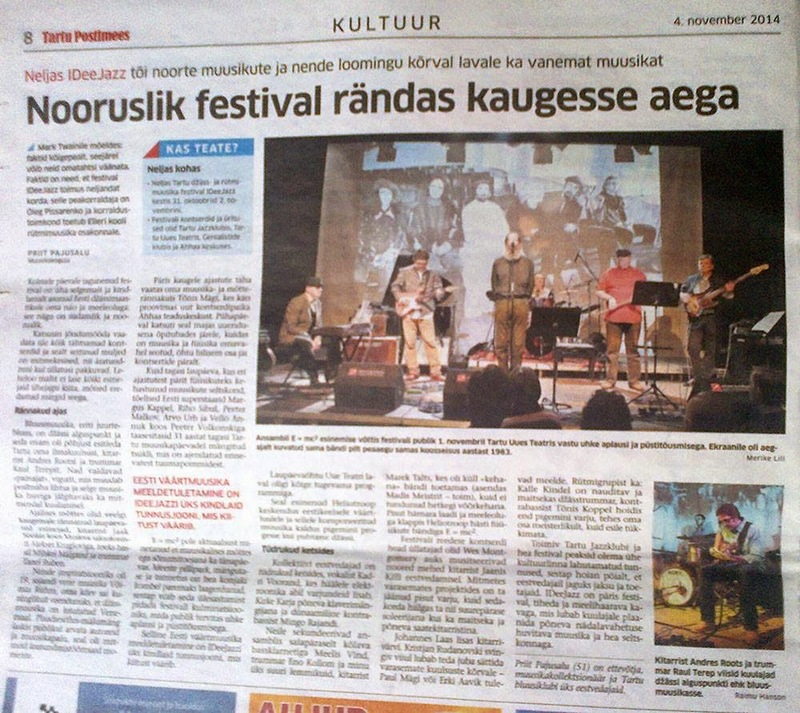 "The uncompromising king of Estonian blues Andres Roots and rhythm master Raul Terep... The most mystifying thing about these blues brothers was the fact that the sound made with just drums and one guitar filled the stage more powerfully than your average rock band. "To squeeze such a convincing bass out of that small a guitar - that takes big tone and years of practice, really superb," noted the legendary Tartu luthier and music man Halvo, who also pointed out the collective's utmost musicality and dynamics." "They possess the knack for keeping this seemingly simple and clear music interesting even upon repeated listening." "Adding Roots to a festival line-up can never be a bad decision."